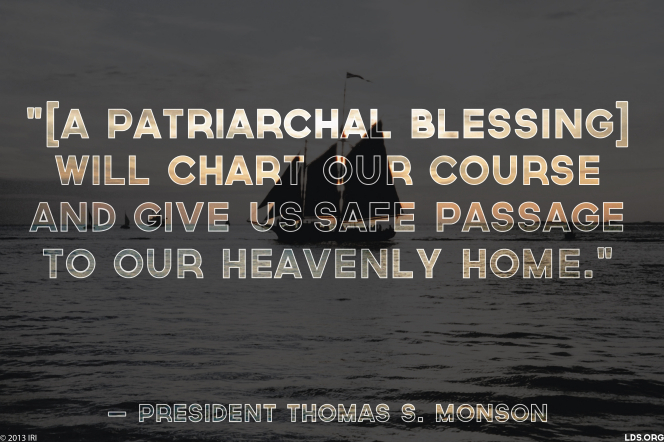 A patriarchal blessing is something available to every worthy, baptized member of The Church of Jesus Christ of Latter-day Saints. The blessing will include a declaration of a person’s lineage in the house of Israel, personal counsel, and inspired direction and is given to us by a priesthood holder who holds the office of Patriarch. Each blessing is personal, and therefore different from all others, and is considered personal scripture. There are many, many ways to study a patriarchal blessing, but I’d like to share one of my favorite ways. This is a way that works well with my thinking and learning style, but it may not work for yours, but it doesn’t hurt to give it a try! Study Spiritual Gifts: My personal blessing does not contain any specific guidance on what I should do with my life or mention major life events, but it does contain spiritual gifts that I have or can earn. Even if your blessing does not say something along the lines of “You have the gift of…” spiritual gifts are probably mentioned in your blessing and understanding what they are and how you earn them can help you discover them. Click here for an awesome talk by Elder Oaks to help get you started. Make a note of the gifts you discover: As you discover gifts make a note of them. I like to put a little “SG” next to where it is mentioned and then I have a running list on the back of my blessing of gifts I’ve discovered. Hint: They won’t all show up at once! The more you read it, and the more you learn about spiritual gifts the more that will pop out at you! Once I had a good list of gifts going I started studying each spiritual gift individually. Don’t rush this part! Some gifts I’ve spent months on to understand, others have taken less time, and some I still haven’t felt the need to study deeply yet. As you can see this method is a lot of work. It’s not a five minute thing, but I guarantee it is worth it. Each gift is wrapped up, and they work best as you do the work to unwrap it! Learn the definition of the word: I know, it’s so cliche to start a talk with “Websters dictionary says that ____ means…” but definitions are important. Don’t be satisfied with understanding a word in context, the better you understand what a word means the more you can decipher what the gift is and it will make it easier to learn more about it. Even if you are pretty sure you already know what it means, look it up anyway! You may be surprised at the multiple definitions that may apply! Use the indexes in the scriptures and search the Church Website to learn about each specific gift: Look the spiritual gift up in the Bible Dictionary, Index, and Topical Guide and read every scripture listed. Hint: Use the footnotes too! You’ll find even more scriptures that weren’t listed in the indexes. Keep a pen and paper handy to take notes on the scriptures that stand out at you or thoughts the scriptures may inspire. When you search on lds.org for the topic write down the quotes that are meaningful to you, make sure to write down the sources so you can refer back to the talk later! Trust me, you’ll regret it if you don’t! Organize your notes: Although I like to make my initial notes with pen and paper, once I start to get a good handle on things I make a document on the computer specifically for each gift. At the top I write the portion of the blessing that mentions the gift for context. For (a completely made up) example: You have the gift of charity, as you use it to help others you will discover more about your own individual worth. Next, I list the definition of the spiritual gift. Then I will organize all the quotes and scripture references into categories. You will start seeing categories as you study the gift, and each one will be different. These are some of the categories I’ve used at different times: Goal of the gift, How to use the gift, Authority, Warnings, What Satan’s deceptions of and pitfalls in the gift are, How the atonement helps me strengthen/apply the gift and a section just for your personal notes, impressions and thoughts. Apply in life! Application of what you’ve learned differs greatly between gifts. For some gifts it’s just a matter of recognizing what weaknesses the gift has so I can see Satan’s deceptions more clearly and learn to avoid them. Other times it shows me what things I need to strengthen or work on to earn the gift. Sometimes it teaches me about why/how I relate to other people. And sometimes it shows me how to use the gift in a righteous way without abusing it. Although this step is the most vauge, this is by far the most important step! If you do not apply what you learn, you will hinder your further knowledge. To be honest I wasn’t impressed with my blessing initially (okay, for about the first decade) but as I’ve studied my blessing this way I have been amazed at just how much guidance and counsel my relatively short and seemingly vague blessing has in it. Most of all I’ve been amazed at the things that Heavenly Father has trusted me with and how much I’ve learned about my myself, my personality, my divine nature and individual worth. As I know more about these spiritual gifts, I have gotten better at knowing what ways of serving the Lord I need to be on the lookout for, and even what good and righteous things are distractions to my ability to achieve my mission on Earth (not that I specifically know what that is, but I know much better how to prepare for it). Our Patriarchal Blessings are a little piece of heaven. Hints from the eternal life that we can’t see or remember because of The Veil. I love learning a little about who I was before I came to Earth, and what I have the possibility to be in the future, both on Earth and in my eternal life in heaven. This is a fantastic post!! So many get their blessing and only read through it when they are struggling. We can become so much when we make studying our patriarchal blessing part of our regular scripture study. In our family we each have a special journal dedicated to what we learn from our patriarchal blessing. On Sunday after family prayer we tuck the babies in bed, then the teens and adults pile up in the living room with their snuggly blankets, patriarchal blessings, journals, scriptures, pens and highlighters. We spent 30 minutes of quiet reflective study immersed in our blessings. Learning how the Spirit speaks to each of us is one of the most important things that has come from the personal study of our patriarchal blessings. I love this!!! I haven’t applied all of these methods and I’m really excited to give my blessing another look through.